With Blue Springs being so close to Kansas City, MO and located within Jackson county, you’re sure to have a large selection of dentists to choose from. Whether you’ve just moved to the beautiful scenic area, or you’re visiting family and friends, a toothache can definitely slow you down and put a damper on plans. It’s unlikely that a sharp pain in your teeth would suddenly onset without an accident, so unless you’ve hit your mouth or teeth on something, you’ve had a problem brewing in your mouth for quite some time that has now finally decided to let itself be known. Luckily Emergencydentistsusa.com has put together a list of dentists in the area that will be able to treat your problem and have you back to enjoying the beautiful surroundings. If you don’t have access to the website, you can simply call our toll free number to speak to one of our friendly agents that will gladly help you. From finding the best dentist for your needs to setting up your first appointment and even giving you directions, we’ve got you covered. Make sure to arrive at least 15 minutes early in order to fill out any paperwork. Since Blue Springs is so close to Kansas City, you’re going to have a large amount of dentist offices to choose from. No matter what treatment you need – from simple cleanings to having teeth pulled, root canals, implants, or dentures, there are offices that offer all of these services. Our helpful directory can help you find the office that will meet your needs the best at a price that you can afford. Doctors: Dr. Steven C. Mingos, D.D.S., Dr. Blair Edgington, D.D.S., Dr. Jana Kortje, D.D.S., Dr. Jessica Niederee, D.M.D., Dr. Amy Schrader, D.D.S. Description:Using the latest technology and offering state-of-the-art procedures, Dr. Mingos and his team ensure that each patient has the best smile possible. Offering care to those that don’t have insurance, their office even accepts Care Credit, which allows patients to make minimum monthly payments instead of coming up with a large lump sum at one time. With extended hours, this office is perfect for the busy person that takes their dental hygiene seriously. 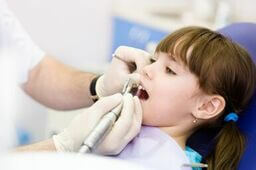 Description: When searching for a practice that can offer almost all dental work imaginable, search no further. From simple cleanings, to extensive dental surgery, Mitts David A DDS-Blue Springs Dental Art offers a variety of services. With extended hours, this office makes it easy for even the busiest patients to fit keeping a perfect smile into their schedule. Description:Offering general, corrective, and restorative dentistry, the dentist office of Matthew A. Turner is sure to take care of all of your dental needs. Their team considers one another as family and their patients can definitely feel that they are a part of that. No matter what your dental needs are, you can be assured that they will take care of you and keep you comfortable while restoring your beautiful smile. Anytime your mouth begins to ache, it’s important that you head to the dentist and don’t delay. Unless you’ve had a recent accident or bit down onto something too hard, it’s likely that the pain you’re feeling has been building up for quite some time. Allowing the pain to continue can cause the teeth around the tooth with the actual problem to also become infected and start to have issues. It is best to treat the issue as soon as you discover it. When visiting a new dentist, always check to make sure that they are up to date on their certifications. Most dentist offices will have this displayed in their offices, but patients can always check before they go in. Check the Missouri Dental Association to ensure your dentist is current with their certifications.